Bev, a late entry to her family, joined her parents, Berdie Lucile Ephraim Moffet and Ernest Beveridge Moffet, and two brothers, William Ephraim and Ernest Beveridge, Jr., on September 4, 1937, in St. Paul, Minnesota. In her early life she developed deep love for two things: the family's cabin in northern Minnesota on Deer Lake, "halfway between Togo and Effie", which had been hand-built by Finnish immigrants on former CCC land; and, baseball, which she learned how to score from her father. Bev graduated from Central High School in 1955, then earned her undergraduate degree at Macalester College in 1959, both in her home town. Although it looks as if she never went far away, she did in fact travel widely in those years. One especially important trip was her summer in Norway in 1958. There she was a participant in SPAN, the Student Project for Amity among Nations, which made possible her eight-week study of Christian student movements in that country. Her 109-page report of her findings, which might well equal many a master's thesis, contributed to her degree in Religious Education at Mac. After serving for a brief time as an assistant in a Duluth church, she entered the Pacific School of Religion in Berkeley, California, earning the Master of Divinity, but forgoing ordination. One focal part of her work at PSR was the study of "Second Isaiah"a�"the portion of that prophetic book of the Bible beginning at chapter 40 and concluding at the end of chapter 55 written by the second of three authors. 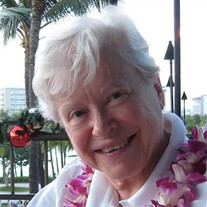 During the '60s Bev served on the YWCA staff of Oberlin College as a part of the chaplaincy. With a change in the YWCA structure, she went "on the road" for the organization and was based briefly in Chicago. She moved to Cleveland and entered the law program at Cleveland Marshall College of Law, where she earned her law degree while, for a couple of years, working days at a hardware store and attending night classes. After passing the Bar, she went into private practice in partnership with Lesley Wells Brooks in Cleveland Heights. Very shortly thereafter, however, Lesley was elected to the bench in the Domestic Relations Division of the Court of Common Pleas of Cuyahoga County Court. Not long after that, Judge James D. Sweeney appointed Bev a Referee in that division, and she became Lesley's Trial Referee. The term "Referee", of course, generated jokes and often unbecoming comments, mostly from people who didn't realize that these court officers performed the same function as judgesa�"they were just not elected but rather appointees to the court. In 1995, the term "Referee" was replaced by the term "Magistrate". Bev served as a Magistrate at the court for about 22 years, many of those years as the Chief Magistrate. She was a founding member of what has become the state-wide Ohio Association of Magistrates. She was awarded recognition of her professional contributions with a Life Membership in 2009 from the OAM (one of only 16 as of this writing). In 1979, as she was just beginning her career at the court, Bev met Judy, who would become her life partner and, in 2015, her wife. Retiring in 2003, Bev joyfully began in-depth pursuit of her interest in genealogy, scouting out not only her own relatives but also those of in-laws, friends, and even more informal acquaintances for the fun of it. This hobby generated a trip to Northern Ireland with Judy, her brother Bill and Bill's wife Mary, to try to solve the long-time mystery of Jenny Mountain's place, date of birth and life circumstances before immigrating to the United States. The group found records in Belfast and Inniskillen that contributed greatly to our understanding of Bev's, Bill's and Ernie's grandmother's history. Success! Bev's retirement life included other delights: a cruise to the Greek Islands and a week-long stay in Venice; another cruise around the Hawaiian Islands; visits to friends in Vermont, Syracuse, the Los Angeles area, the San Francisco area, and north-west Washington State; road trips to visit family in West Chester, PA, Denver, the Philadelphia area, Washington, D.C., and California; and gatherings with friends and family at home, watching fireworks over the lake on the Fourth of July, or grilling chicken and veggies on the Weber, or enjoying guests at the annual "Old Rose Appreciation Day". Bev and Judy were blessed with visitors from all parts of the world over the years and enjoyed sharing their home and vista at any time of the year. Bev's final illnessa�"glioblastomaa�"was cruel and shorter than the year prognosis. With Kendal-at-Home caregivers and the guidance and expert help of nurses and staff of the Hospice of the Western Reserve, Bev was able to be at home through almost all of the two months after she declined further chemo treatment. Besides her human companions and caregivers, three "angel cats" attended her: Tessa, Zoe, and especially Nutmeg, who spent much of her time on the bed with Bev until the end. In those ten months she had many visitors and tributes from friends, neighbors, the community at Trinity Cathedral, and former professional associates. One retired attorney who practiced before her wrote, "Beverly was fair and understanding. She treated people with respect. Her integrity was beyond reproach... .The world was a better place with Beverly present." Amen! As for me, Judy, my life was immeasurably blessed by my relationship with and marriage to Bev. She is dearly loved by both her own family and my family as well: her brother Bill; Bill's son Jim and his wife Audrey; Bill's daughter Ann; Bev's late brother Ernie's sons Tim and Greg, and his wife Chris; her brother-and sister-in-law Fred and Phyllis Eckelmeyer; and sister-in-law Susan Sirutis, all of the Doylestown, PA, area. Her sharp mind was always at the ready if I needed an editor for my writing or help balancing my checkbook, and Heaven knows she was the brains of our financial functioning! She was fun to converse with, to travel with, to live with--a deeply devoted and loving companion and wife. I know a great many people will miss her very much, and will join me in being thankful for having had her in our lives. BEVERLY L. MOFFET Beloved partner of 37 years and spouse since 2015 of Judith A. Eckelmeyer of Cleveland, OH; dear sister of William E. Moffet (Mary) of West Chester, PA and the late Ernest B. Moffet, Jr. The family prefers that those who wish may make contributions in her name to Lambda Legal, 120 Wall St., 19th Floor, NY, NY 10005 or Music and Art at Trinity, c/o Trinity Cathedral, 2230 Euclid Ave., Cleveland, OH 44115, where Funeral Services will be held, Saturday, April 7th at 12 noon and where FRIENDS MAY CALL ONE HOUR PRIOR TO THE SERVICE, FOLLOWED BE A RECEPTION IN CATHEDRAL HALL.